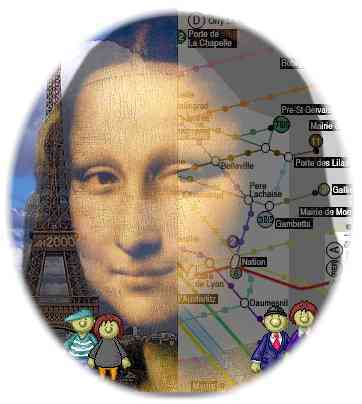 Darleen and Dave, Mum and Dad have planned a weekend trip to Paris to visit the famous Mona Lisa. Come with them and enjoy yourself. They plan to travel to Paris by Eurostar and fly back ... exciting ... isn't it? This is just one small section of our school website. If you would like to visit the rest of it then click on Dave or Darleen.